To celebrate the Enchanted Tiki Room’s 50th anniversary at Disneyland park, the folks at Disney decided to celebrate with an all out pin trading, Vinylmation, collectible merchandise buying extravaganza. Featuring of course the beloved totems and animals of the Tiki Room, this special event featured some very cool stuff – and also frustratingly long lines! Hosted at the Disneyland Hotel’s Exhibit Hall, the event had some great meet and greet opportunities with favorite artists and designers, panel discussions with the Imagineers who helped bring this classic attraction to life, and some terrific pin trading opportunities. Overall, worth every penny…but word to the wise, no need to come early for registration! The only real frustration about the event were the exceptionally long lines for registration the night before. Opening at 5pm (according to the schedule), there was already a line down the exhibit hall, out the door, down the corridor, back down the corridor, and outside the building at 4:45pm. Did not get through registration until about 7:30pm. Others in line noted that registration has never taken this long before for other events so whether it was the excitement over the Tiki Room celebration or the surge in pin trading / Vinylmation that has seemingly exploded over the past few years is unclear, but the wait was burdensome. And as a pin trader, the gifts were just not that great. All guests were given a commemorative plaque of the original ticket required to enter the attraction and a beautiful bottle opener, but compared to the two sets of pins and collectible cover that went with them from the Sci-Fi Academy Event, it was slightly disappointing. Still, the Early Birdie pin was gorgeous and they even offered free Dole treats! Each person also got a card good for 5 pin trades on the pin trading boards. The boards were great – frequently refreshed and with a good selection. It was a little disorganized at the beginning as different pin boards had different rules about what you could look at and trade for, but as the day went along, it all got smoothed out. 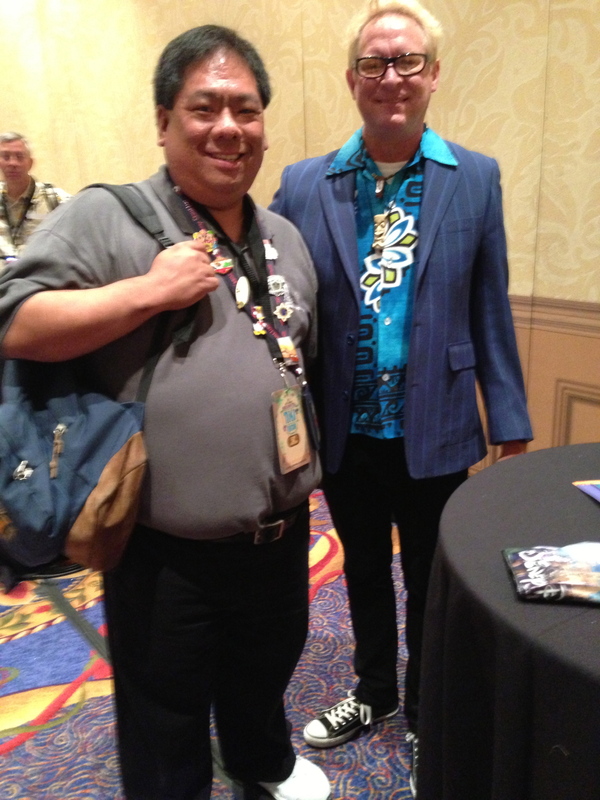 I ended up with five terrific AP pins (mostly from the Cars Land opening) and met a number of wonderful people as well. Meet and Greet with SHAG! 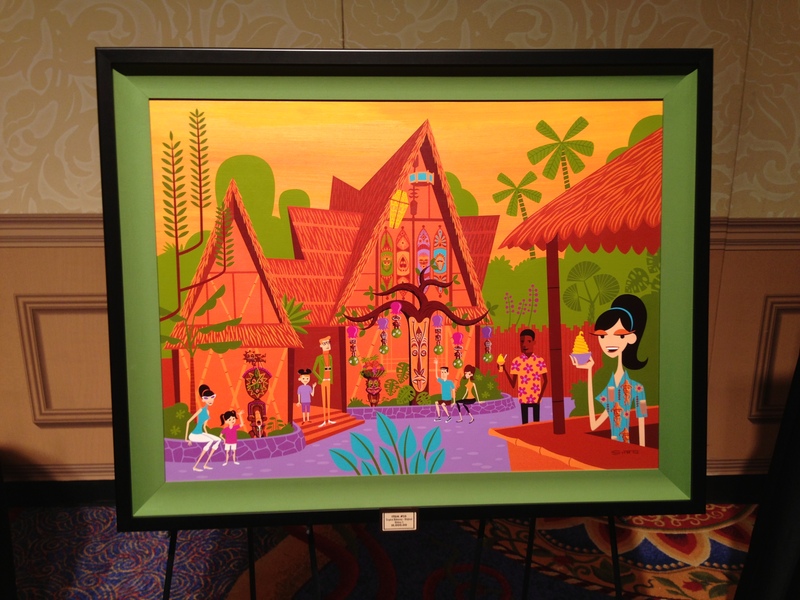 One of the SHAG paintings representing the Tiki Room available as a print and glicee. One of the pin auctions – the attractions poster series. One of the highlights of the event was the meet and greet with the designers. Each person was able to get two articles from the event signed and so I was fortunate enough to meet SHAG and Alex Maher – both of whom were very nice. Alex signed not only the pins I asked for, but the cards as well (and he did the design for the Early Birdies Pin although uncredited in the handout at the event). It was exceptionally well-organized with each guest receiving a time slot to visit with the designers and there were barely any lines for anyone. Overall, it was handled with professional flair. Sales and silent auction were also handled well. Believe it or not, they still had select LE 250 pins available for purchase even after the initial registration process! The SHAG pins were sold out quickly, but the rest still had availability. I’m not sure what the supply was like after the event, but look for them in the park (usually at the Little Green Men Store) some time soon if there were left overs. 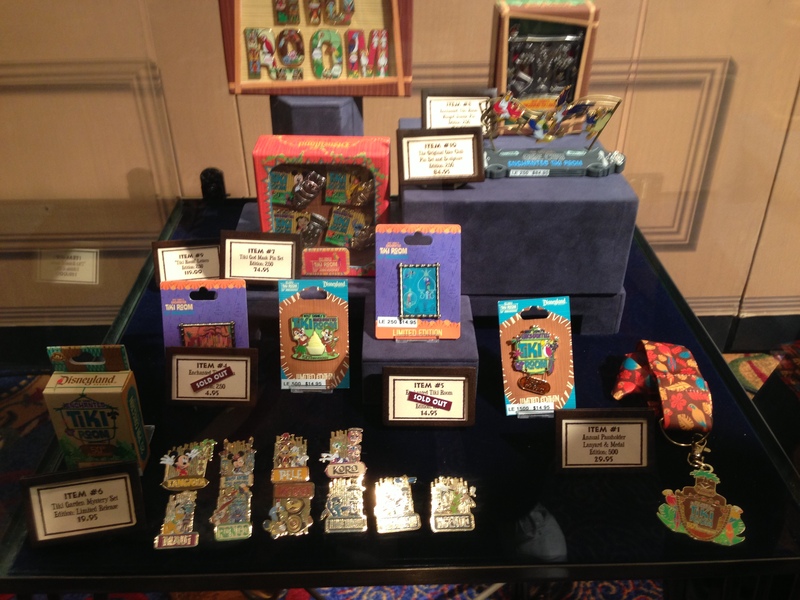 One of my favorites is the Limited Release Enchanted Tiki Room Mystery Pin collection. All of the pins are nice but the chasers are what make it fun to pursue. Usually chasers are just special low production pins, but these are exceptionally special. Each of the ten pins has a chaser version (gold tiki instead of painted) with a Limited Edition of only 50! Yes, only 50 in the world! (Although I did see a few from China on eBay which always makes me skeptical). The silent auctions were varied and had some great pins (almost all PP and AP versions). 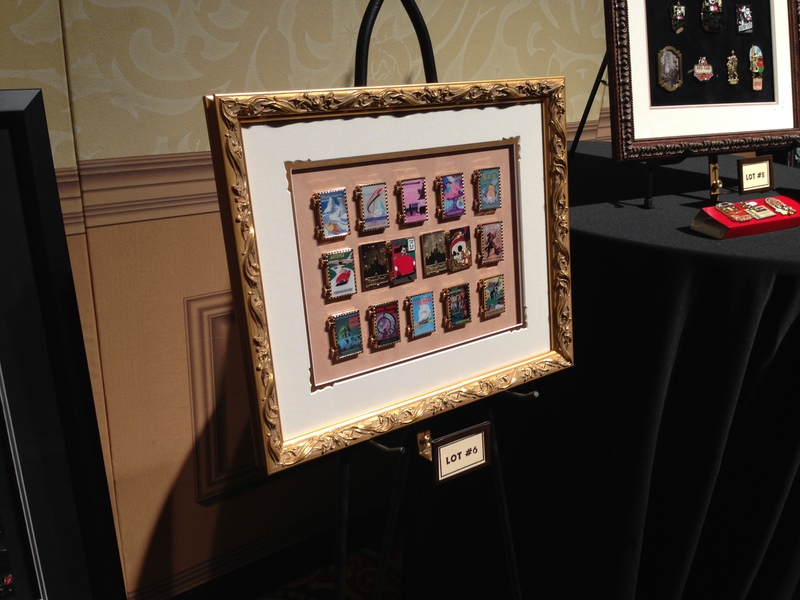 There was a Star Wars pin silent auction, an Attractions Poster Pin silent auction, and even an unreleased never-before-seen Princess and the Frog pin collection up for auction. It was neat to see and the starting bids were all reasonable. The panel discussion was enlightening and it was great to hear stories about how the original attraction was created. Things were done at a different pace back then. From conception to completion if I remember correctly was only three months. Lightning fast compared to today, but also a different time and different technology. It was fun to hear stories about Walt and how he interacted with the group and how it all came to be. 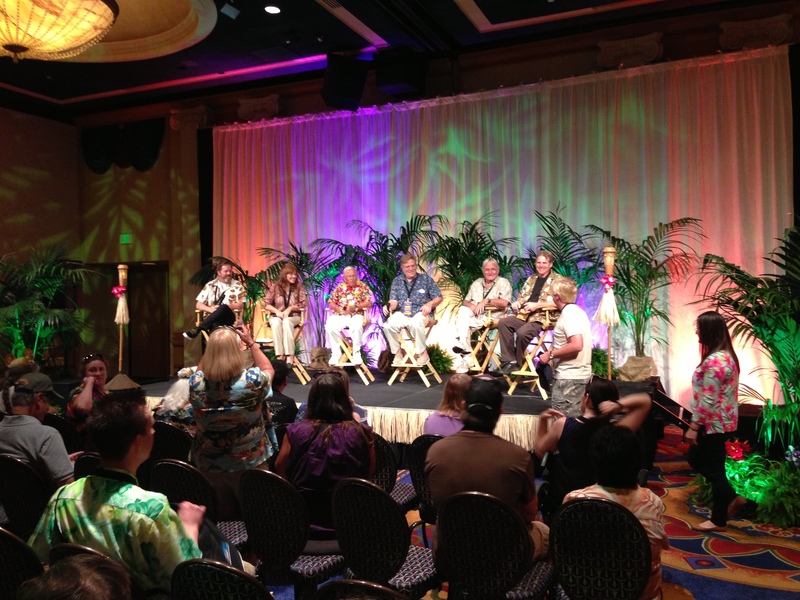 Questions were taken from the audience and the Imagineers were all very open and willing to share. 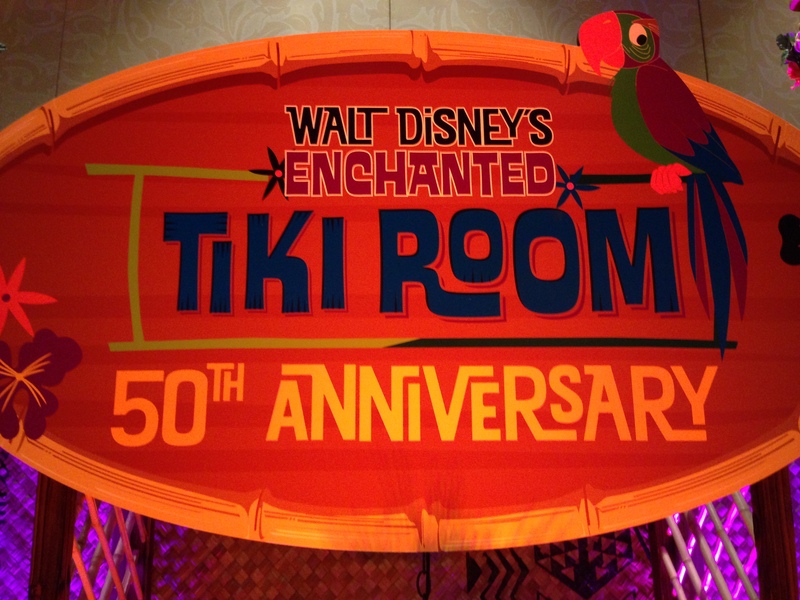 One interesting tidbit that I found out during the event was that originally the Tiki Room was not funded by Disneyland but by Walt’s company, WED Enterprises. Thus a separate admission ticket was needed to enter! Interesting the things you learn. If you get a chance to attend one of these events in the future, make sure to go! It’s fun, entertaining, and filled with great Disney information! Pingback: Two Big Pin Events This Spring Coast-to-Coast: Get Your Pin On! | Disney Nerd!